Jerry Forbes and I were talking bottles after the Baltimore Show and as usual, we visit in our hotel rooms after the show to pull out our finds. This improvised light box is not a great as Ken's or Bills light boxes but it will do in a fix. Unfortunately Jerry's booty must share space with one of the wives martinis and a slab of steak. 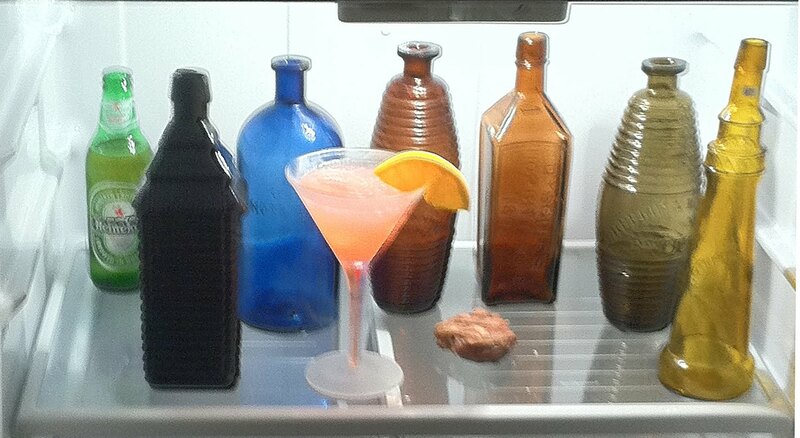 PS...don't keep the bottles in the icebox a long time.